Links to sites are a form of internet democracy. 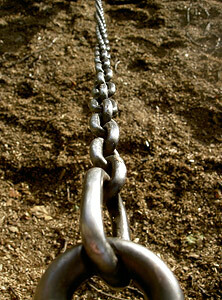 Google and most engines view a link to your site as a vote for it’s worthiness. The more people that link to your site, the more weight Google will give it. This is good because it means Google will show your site to more people when they search for what you’re selling. This isn’t necessarily a popularity contest. Think of it more in terms of having something unique that people are compelled to share with others, and in return you are rewarded with greater authority in the eyes of Google. There are many methods of obtaining links, some are kosher, some are not. We’ll be discussing the kosher ones. The best way to get a link is for someone to naturally find a page on your website one day and is so impressed by it that they need to share it with all their friends online. It’s especially amazing when they have a very popular blog and post about it there. That doesn’t happen everyday though, so that’s why website owners turn to SEO Consultants in order to build effective link strategies. I will share a few strategies here so you can become familiar with the work involved in getting links back to your site. This is the most fun strategy for building links because you get to see other peoples’ photography, you get to tell them what a great job they are doing, and you build up the egos of their beautiful clients. The payoff to it all is that you get a link back to your site. In the graphic to the right you will see where you put in your website URL. Netiquette Alert: It’s not polite to put a keyword you are trying to rank for in the name field. Please use your real name, not something like “Springfield Baby Photographer.” I instruct clients to rename comments or delete them altogether if people use specific anchor text. Anchor text is the words that make up the link, and Google looks at them to help determine what the linked site is about. This deserves a mention. “No-Follow” is a designation applied to blog comments by default to eliminate passing along page authority or page rank to the site being linked to. It’s intention is to tell Google that the site being linked to is not a trusted site, and there is no “vote” cast for that site. What a number of people have removed “No-Follow” from their blog systems and allowed people to freely post comments and receive a vote from their page. These are the gold. Editorial links back to your site are the best because someone is giving an actual vote for your site. Google has the ability to determine where your link is on a page. If it’s in the middle of the page where most editorial content is, Google will give more weight to that link than if it’s lower on the page such as in the comment section. Good sources of editorial links are specialized blogs, like wedding blogs or maternity photography blogs that are run by someone with a passion for that particular style of photography. If you do a search for “your style of photography blogs” you will get a good list of blogs that you can consider submitting to. Adding your business to Google Places is an absolute must. Google often now displays place results above the natural organic listings. As you can see in the screen grab below, the places results with the red markers appear next to the listings they correspond to on the map. Claim your business listing at Google and provide all the information it asks for. That includes everything down to hour of operation, photos, video, etc. Make sure you fill everything out to 100%. You must ensure that you have additional business directory citations from a variety of other sources. This helps ensure that Google knows you are a legitimate business. It also creates the opportunity to have multiple reviews across the internet which Google will use in rating you. 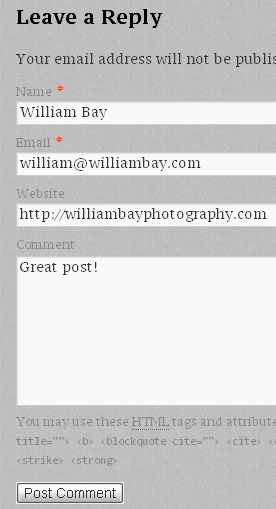 A nice secondary effect is that you will have more links back to your site. A critical component to listing your business is that the listings have to be 100% completely identical to each other with the information you provide. For example, if you list your address as “1234 Arrow Lane, Suite 100″ on one location, and “1234 Arrow Lane, Ste. 100″ on another, Google may think that they are two different sites. You don’t want that. At Flaunt Your Site we have a service that aggregates your business information to over 150 business directories and sites while making sure that the exact same data is being used on all of them. It is much more efficient than submitting by hand. If you’re interested, check out our Local Search and Google Places Optimization services. In addition to the local directories, you have the option of submitting to Yahoo and Best Of The Web (in addition to a ton of other “Human Reviewed Directories”). Because someone has to review the site, they ask for a payment to review your site. You are not guaranteed a listing as the site has a quality standard that they adhere to. The price to review the site can be expensive. Yahoo charges $300 yearly, while Best Of The Web Charges a flat lifetime fee of $300. If you have it in your budget, it could be a good link depending on where your category falls. These are my favorite because of the customization you can do. The social media profiles are those “About” pages on social media platforms like Facebook and Twitter. If you haven’t put a link on your profile pages back to your website, you’re totally missing some great link juice as most of the social sites have incredible domain strength. 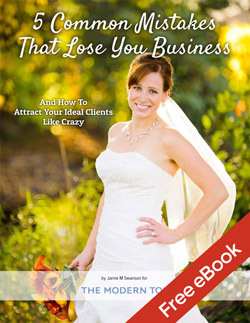 If you look at my About.me page you can see the anchor text that I used to help me rank better for “San Diego Wedding Photographer.” You will want to do that where you can without looking unnatural. There are more advanced methods to getting the most out of each profile than I can get into here, but if you have any questions we can certainly help you in putting together your linking or social campaign. Beware of sites that charge for links. This is different from Yahoo which has a large reputation and charges to review your site. Purchased links are frowned upon by Google. There are free directories to get listed in, so don’t spend money on the paid ones. Photo blog advertising. Not a scam, but usually just not worth the money that the site owner is asking for. I like to think of it similar to print advertising, which is about driving the brand into the minds of people. It’s a little hard to justify when you’re a small company, but makes sense for companies like Coca Cola or McDonalds. Anyone that cold calls you and promises that they can get to the first page of Google. Here’s a tip: It’s very easy to get to the first page of Google – you just need to pay for the sponsored listings. It’s call “Pay Per Click (PPC)”, and you pay every time someone clicks through to your website. The scams that these guys do are quite endless. They say that they are SEO specialists, but they utilize PPC techniques and often leave you and your site in a worse spot when you decide that you haven’t received enough business. Needless to say, people that cold call you don’t necessarily have your best interest at heart. Photography is a very competitive industry and it is hard to get noticed. Everyone is following their passion and it shows in how far people are willing to go to have their business succeed. With the right know-how and a good strategy in place we all can have what we are looking for. It can take some hard work to get the links back to your site that you need to excel in the world of SEO, but it can be done and there are reputable people out there who can help you. There was a lot to take in, so if you have comments or questions, please feel free to add them below in the comments area (where you will get a nice link back to your site). Note from Jamie: The Modern Tog comments section will result in “No-Follow” links, but the top 10 people who comment the most get a “Do-Follow” link in the sidebar of the site. This resets every month, so comment regularly to get an awesome “Do-Follow” link on every page of our site, not just this one. William Bay is a San Diego Wedding Photographer, and runs Flaunt Your Site, specializing in SEO and web design for Photographers, Artists, and Musicians. When he’s not photographing, SEO’ing, or designing he’s dreaming about surfing the perfect peeling reef breaks in the Mentawai Islands.